News Corporation, owned by media mogul Rupert Murdoch, contributes money to political campaigns. That is not particularly surprising. 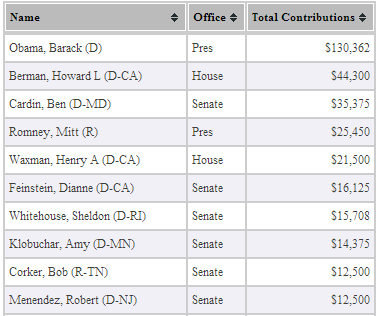 What does make many people believe that truth is stranger than fiction is the fact that the top recipient of News Corps' donations this political season is President Barack Obama. 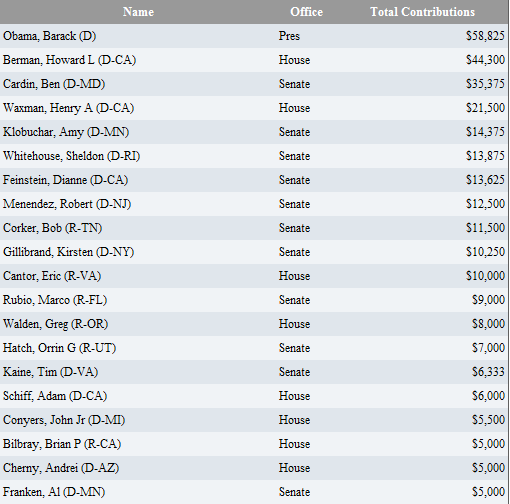 Way down the list, just above Congressman Ron Paul's name, is Mitt Romney (R) Pres $2,750. Over at the Politicusa news site, the speculation is that old man Murdoch knows who in the White House would be best for business, at least for four more years. More important is the fact that with all of the fear-mongering about the President that takes place with Fox News, especially when Glenn Beck was in their employ, clearly the boss is not so worried about the future of America with President Obama in the White House for four more years. Can you imagine seeing this ad running on Fox News in the final weeks of the campaign. ...with the voice over from the President: "I'm Barack Obama, and I approve this message." If Obama doesn't let Fox viewers find out who their boss supports for President, it's doubtful anyone on that channel will be talking about this little bit of truth. If you think that Fox News viewers ought to find out which candidate the boss is supporting the most for President, sign the petition here. Know anyone in the media? Share this fact with them. Virtually nobody is paying attention to this bombshell of a story ... yet. Update, 11/12/2012: No one outside of a couple of blogs covered this strange financial support of President Obama's candidacy for re-election. The chart above shows information that preceded the selection of extremist Congressman Ryan (Beck's soulmate), so you would think that the Romney/Ryan campaign ended up receiving more contributions than the President that Fox "News" demonizes. Although they did end up receiving a lot more money from News Corp, you'd be wrong. The chart below shows the contributions documented by Open Secrets after the election. Although Romney's donations had increased more than 9 fold while the President's only doubled, the Obama campaign still received more than 5 times as much from News Corp as the Romney campaign did. Also, nine of the top ten recipients were Democrats, not Republicans that Fox on-air personalities support. It really makes you wonder how much the folks at Fox believe their own rhetoric. Word is that Murdoch now covets the Los Angeles Times and the Chicago Tribune — the bankrupt-but-still-dominant newspapers (and websites) in the second- and third-largest media markets, where Murdoch already owns TV stations. Under current media ownership limits, he can't buy them. It's illegal ... unless the Federal Communications Commission changes the rules. But according to numerous reports, that's exactly what FCC Chairman Julius Genachowski plans to do. He's circulating an order at the FCC to lift the longstanding ban on one company owning both daily newspapers and TV stations in any of the 20 largest media markets. Now these contributions make sense. It also points to the corruption of our corporate bought and sold political system.